At Cathedral Mountain Vineyard in Alpine, volunteer grape-picker Susan Howard wants her title on the record. Howard is one of about sixty people who woke up early on a foggy Saturday morning to volunteer to pick grapes for Times Ten Cellars, the Dallas-based winery that owns and operates Cathedral Mountain Vineyard. Kert Platner, a co-founder of Times Ten Cellars, said that the reason the vineyard uses volunteers for the harvest instead of agricultural workers is the lack of a migrant labor force in the area. “We don’t have big groups of people who can come in and do this as part of their work,” said Platner. 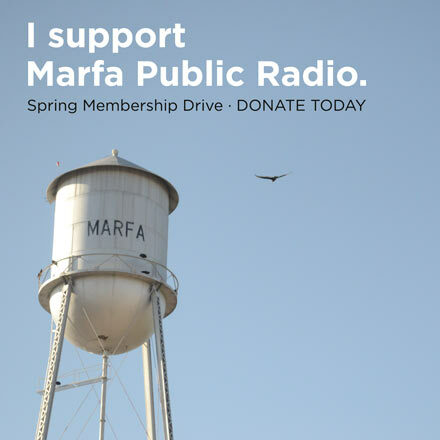 It’s not just an issue in West Texas. Tim Dodd, the Director of the Texas Wine Marketing Research Institute and the associate dean for Administration and Finance at Texas Tech University, says finding laborers with knowledge of grape-growing and grape-harvesting can be a problem in a state that’s relatively new to the wine business. Dodd says that’s part and parcel of an industry that has changed and grown a lot in a relatively short amount of time. In 2013, Texas made 1.3 million cases of wine – up 37% since 2005, according to the vineyard and winery industry group Texas Wine and Grape Growers Association. And the retail value of all that wine? $134 million. At Cathedral Mountain, Times Ten Cellars’ other co-founder Dustin Walker says they’re seeing some of that growth too. 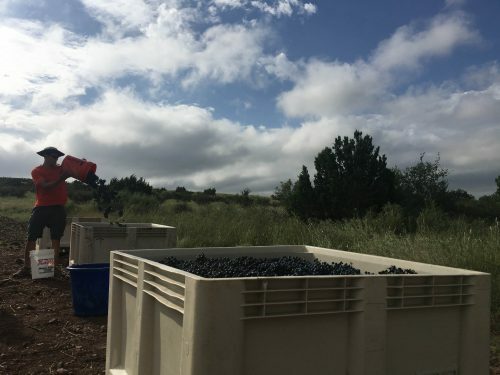 Walker said this year the winery harvested the most Tempranillo, a medium to full-bodied Spanish-varietal grape, than they have since opening the vineyard in 2007. Cathedral Mountain Vineyard’s self-proclaimed number one grape picker, Susan Howard, has been making the trek out to the harvest for almost ten years now. She says there’s a simple reason she keeps coming back. This entry was posted in KRTS News and tagged Agriculture, Drink, Economics, Farming, food, Grapes, Texas Wine Industry, wine. Bookmark the permalink.